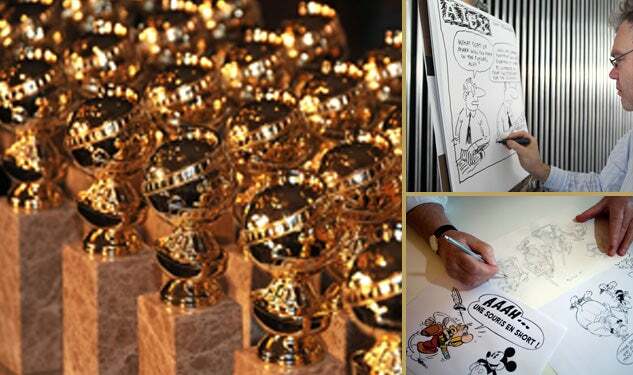 17 Animated Motion Pictures have been approved as eligible for 2015 Golden Globe Award consideration. The eligibility rules for the animation category stipulate that movement and characters' performances must be created using a frame-by-frame technique. Each animated image must be created or manipulated by an animator through hand drawing, stop motion, pixilation, animation software or a similar technique. Motion capture by itself (without the manipulation frame-by-frame by an animator) is not eligible. Motion pictures with less than 75% animation of the motion picture’s main characters do not qualify as animated motion pictures. Animated motion pictures are not eligible for the Best Motion Picture – Drama, Best Motion Picture – Musical or Comedy or Best Foreign Language Motion Picture awards. However, animated foreign language motion pictures are subject to the release, eligibility and screening requirements set forth for other foreign language motion pictures. If fewer than twelve animated motion pictures qualify in a year, the category will be limited to three nominations that year. The Art of Happiness (Big Sur SRL, Italy), Big Hero 6 (Walt Disney Animation Studios), The Book of Life (Twentieth Century Fox and Reel FX Animation), The Boxtrolls (Laika), Cheatin’ (Bill Plimpton Studios), Henry & Me (Reveal Animation Studios), The Hero of Color City (Exodus Film Group), How to Train Your Dragon 2 (DreamWorks Animation LLC), The LEGO Movie (Warner Bros.Pictures/Village Roadshow Pictures/RatPac-Dune Entertainment/Lego Systems A/S/Vertigo Entertainment/Lin Pictures), Mr. Peabody & Sherman (DreamWorks Animation LLC), Penguins of Madagascar (DreamWorks Animation LLC), Pirate Fairy (DisneyToon Studios), Planes Fire & Rescue (DisneyToon Studios), Rio 2 (Blue Sky Studios), The Snow Queen 2 ( Wizart Animation, Russia), Song of the Sea (Cartoon saloon), The Tale of the Princess Kaguya (Studio Ghibli, Japan).